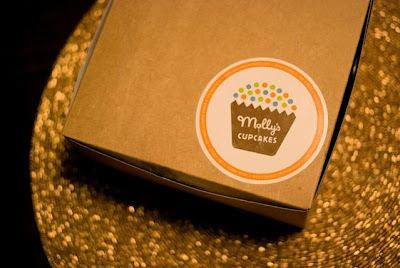 These are from Molly's Cupcakes in Chicago. 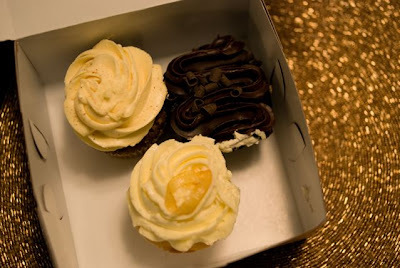 I heard about them when I was visiting my sister last Christmas, and I tried three different flavors, which were all very good. Mm..
Don't you just love the colorful little logo? I get so excited whenever I see a good identity design. They are swings! 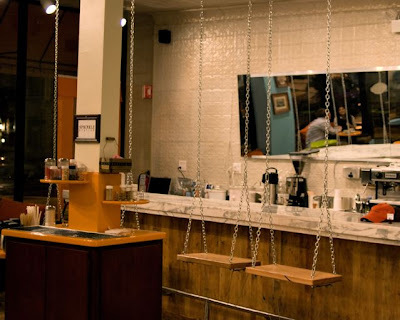 Too bad they don't actually swing (that'd be too dangerous with cupcakes) but I thought they were a really neat idea.